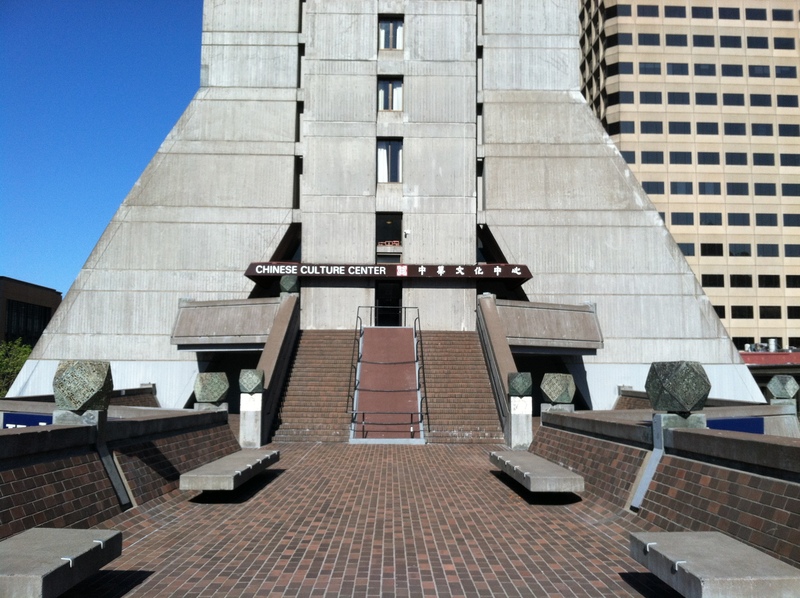 To continue our Waygo in the Wild journey, why not a trip to the largest Chinatown outside of Asia? 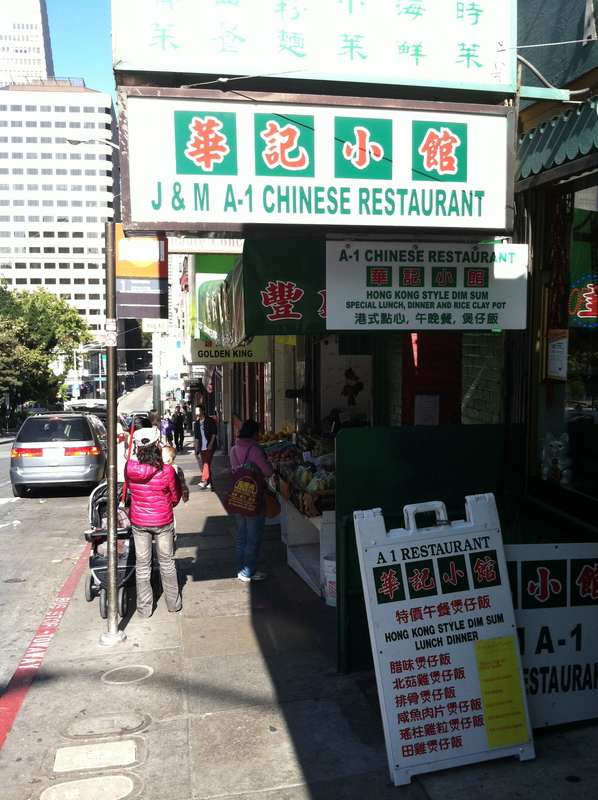 After having lived and traveled throughout China extensively, the Chinatown of San Francisco feels like the real deal. A turn down any street transports you directly to the Middle Kingdom; from the lanterns strung above narrow streets, wafting scents of kung pao chicken in the air, and drifting tunes of the erhu, Chinatown delivers newcomers a genuine Chinese experience. A typical street of Chinatown. 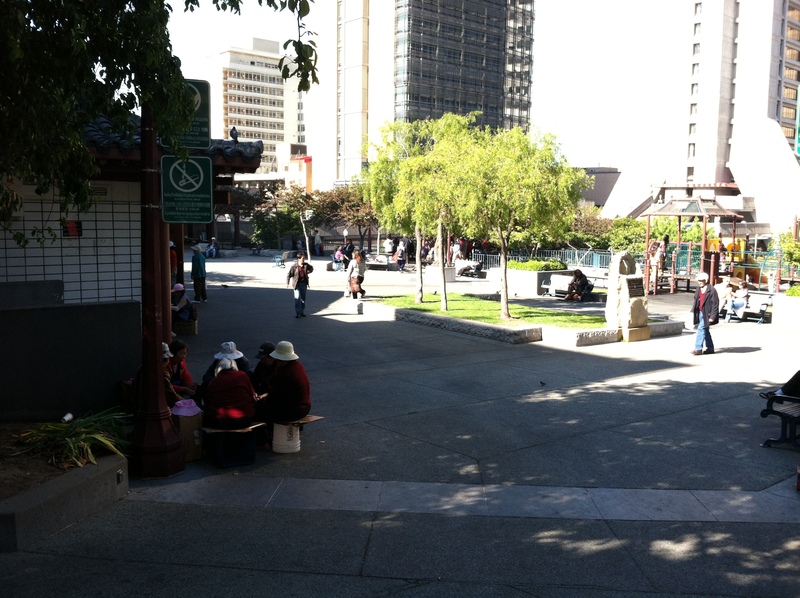 Residents gather to play mahjong in the heart of Chinatown, Portsmouth Square. 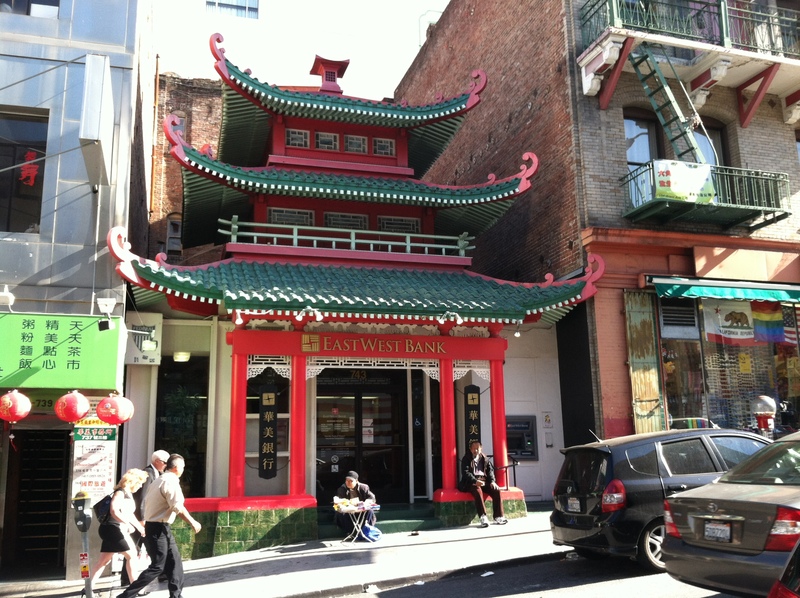 San Francisco’s Chinatown is not only the oldest Chinatown in North America (established in 1848), but also the largest Chinese community outside of Asia. 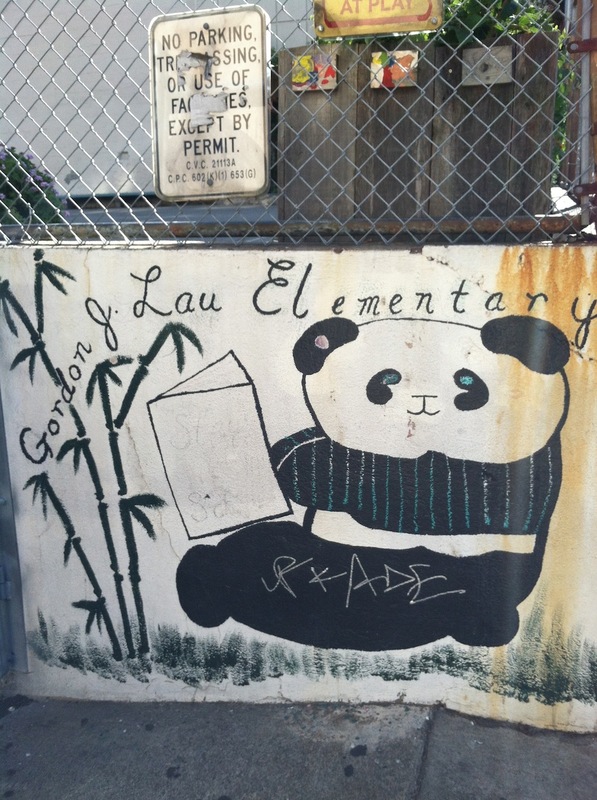 In general, ethnic enclaves serve as a transitional space for immigrants to integrate into a new culture. 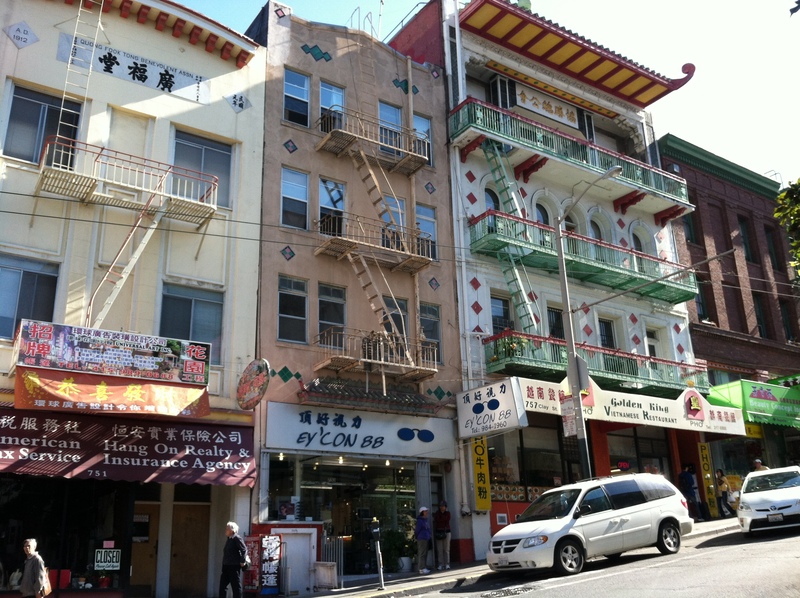 Unlike many Chinatowns that no longer offer relevant services for immigrants nor have active Chinese communities, San Francisco’s Chinatown remains as vibrant as ever, both as a practical transitional place and as a genuine cultural experience for tourists. Not just the restaurants and souvenir shops embrace Chinese culture, but other institutions such as banks, schools, post offices, hospitals, and community centers all reflect Chinese culture. 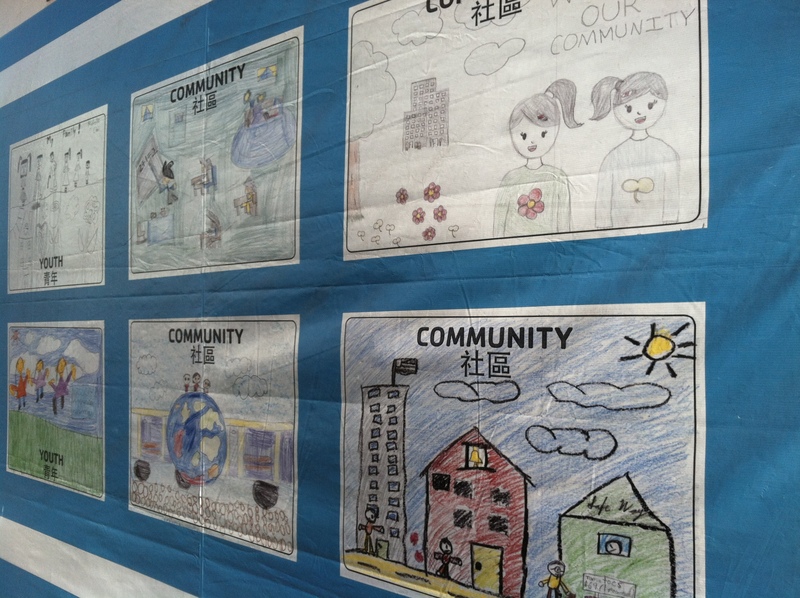 Community posters hang along sidewalk walls. 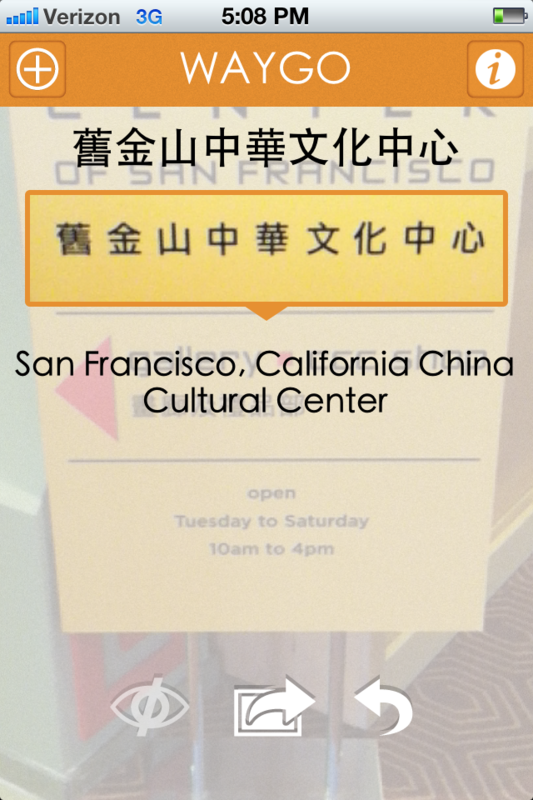 With many of Chinatown’s signs and menus written only in Chinese, visitors whom do not read Chinese can use Waygo to translate their Chinese surroundings. While Chinese dictionaries are undoubtedly necessary to communicate in China and study Chinese (our online favorites are MDBG Chinese-English dictionary and nciku! ), they prove impractical in real-time situations. 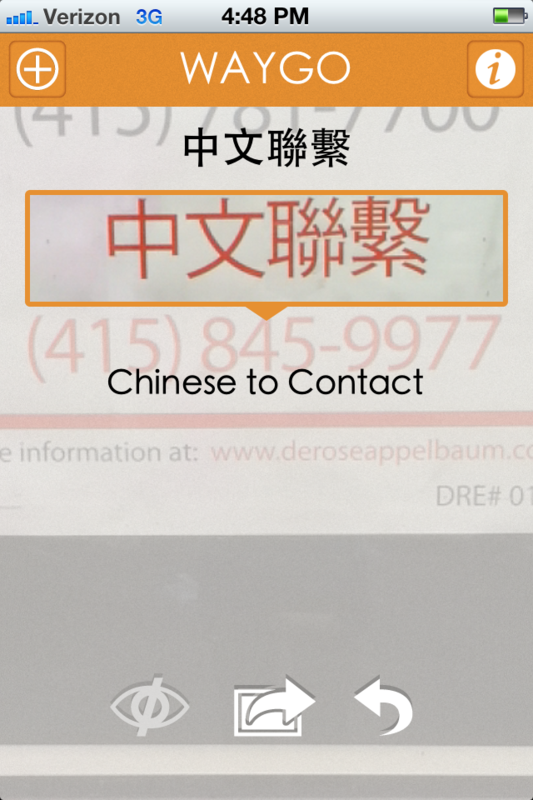 Standing outside a Chinese restaurant with a Chinese-only menu, drawing each individual character into a smart phone to retrieve individual character definitions can prove time consuming and nearly impossible if you’ve never studied writing Chinese characters. 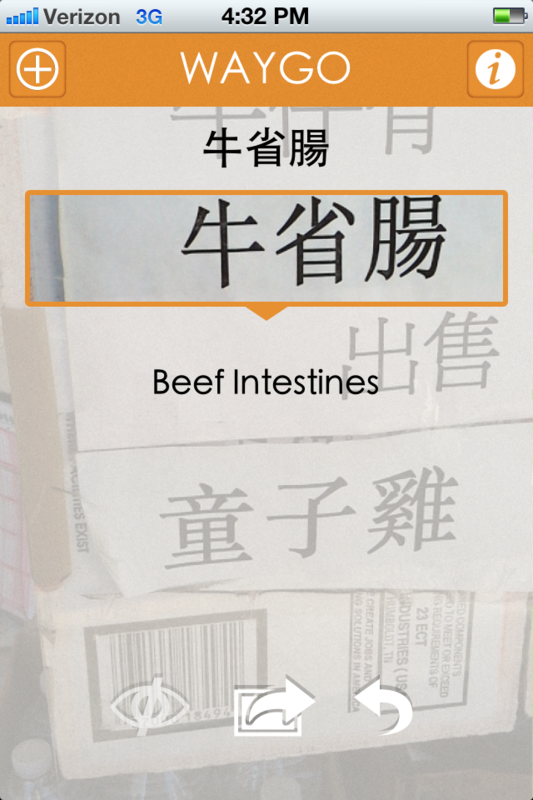 Use Waygo to read the Chinese characters on menus and signs. 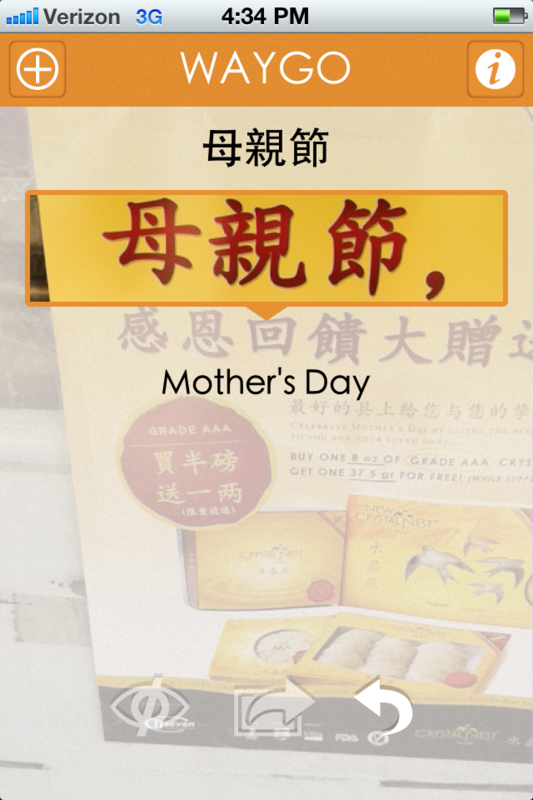 A special offer is advertised for Mother’s Day. To order or not to order? That is the question. A sign advertising help with immigration logistics. 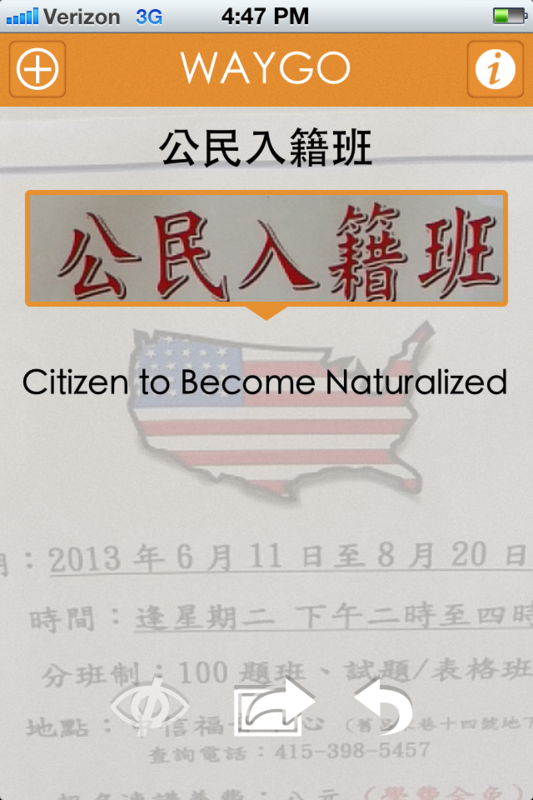 The majority of businesses and services cater to Chinese clients. 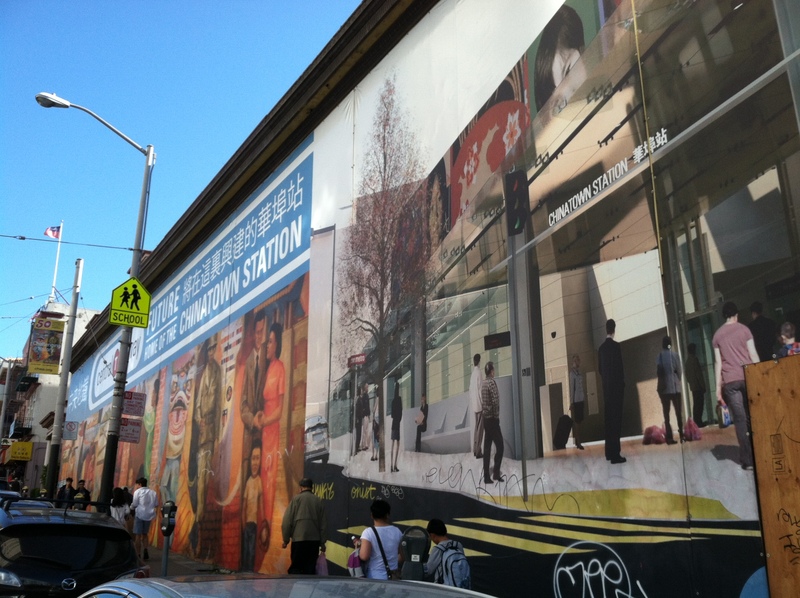 Chinatown Station as part of San Francisco’s new Central Subway line is set to be completed by 2020. ← What’s Up With Waygo?